Aquatic perennial. Stems branched, up to 10 m long. Rhizomes short and fragile. 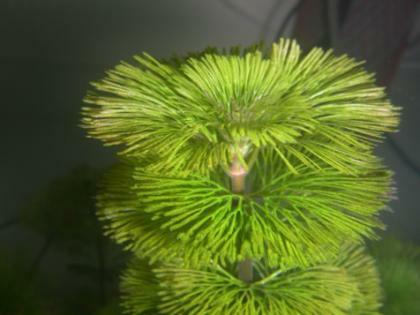 Leaves dark green, submerged, fan-shaped, 7 cm long and 5 cm wide. 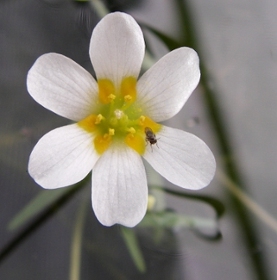 White flowers, 13 mm in diameter, 3 white sepals and 3 white petals, saucer- shaped white or purple pink. Flowers in summer. Native to North and South America. Invasive in Australia, United States, Europe and Asia. Fanwort was introduced in South Africa via the aquarium trade. It has been recorded at the Berg River, Western Cape and Nahoon River in the Eastern Cape. Fanwort invades rivers, streams and ponds where it becomes rooted in water. 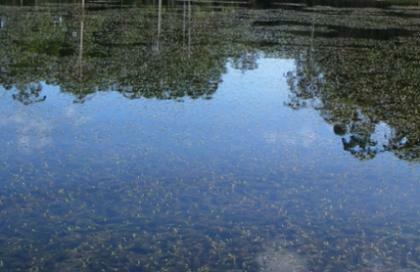 Fanwort is an aggressive invader of freshwater systems rich in nutrients and outcompetes the native water plants. It can pose a risk of entanglement and drowning to swimmers. Fanwort will taint and discolour water, increasing the costs of water treatment processes. It blocks foot valves and pumps, increasing maintenance and running costs and reducing pumping efficiencies. Fanwort spreads via stem fragments, seeds and roots, and subsequently forms dense stands. Report sightings of these plants to the Early Detection and Rapid Response Programme (EDRR) at SANBI. We will need to know its locality (the exact locality, supply any landmarks or GPS information if possible).